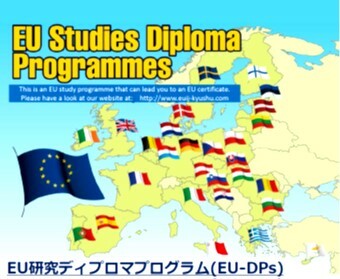 The European Union Studies Diploma Programmes (EU-DPs) provide students of Kyushu University with opportunities to study about the EU and EU member states. EU-DPs students will gain a fundamental knowledge of the EU, such as the history and role of the EU constitution. They will deepen their academic understanding of the EU through further coursework and the opportunity to write a research paper. EU-DPs consist of undergraduate level and graduate level. Upon completion of requirements, students will be awarded a Diploma in EU Studies. (2) A research paper on an EU-related topic must be submitted and approved. * 4 credits of coursework may be substituted. In order to be awarded a diploma, you are required to earn (a) 4 credits or more from the introductory courses, and (b) 10 credits or more from two or more from the modules, 14 credits or more in total. EU-DP Undergraduate Diploma students are encouraged to complete their requirements for the Undergraduate Diploma in EU Studies with a research paper. This paper must focus on an EU-related matter and be discussed within the context of one or more academic disciplines. In lieu of a separate research paper, students may submit a graduation thesis if it is EU-related. 4 credits for coursework can be substituted for a research paper. - A minimum of two semesters enrollment for EU-DP is required to complete. - EU-DP courses can be taken until graduation. - In case that the credits from introductory courses exceed 4 credits, the surplus credits may be counted as Modular courses according to their category. - Some coursework completed in the past (i.e., courses which currently appear on the list of EU-DPs courses) may be used toward the EU-DPs. However, the programme requirement cannot be fulfilled only with the previously completed coursework. In order to be awarded a diploma, you are required to earn 4 credits or more from the coursework offered for EU-DP. A research paper must be submitted to complete their requirements for the Graduate Diploma in EU Studies. This paper must focus on an EU-related matter and be discussed within the context of one or more academic disciplines. In lieu of a separate research paper, students may submit a master's thesis if it is EU-related. - Doctoral students can apply for the EU-DP Graduate Diploma Course by submitting a "Letter of Acceptance for the EU Studies Diploma Programmes (EU-DPs) Enrollment” with the signatures of advisors of both your doctoral thesis and your EU-DPs research paper. Doctoral students who fulfill all the requirements can acquire an EU-DP Graduate Diploma. I registered for EU-DPs when I was a third year student after I began to consider studying abroad in France. Through the EU-DPs courses, I gained valuable opportunities to learn about Europe. I learned about the basic structure of the EU, which I was not so knowledgeable about, the overall scheme of economic matters in the EU, and about laws in France, which was not related to my major. Fortunately, after I had decided to study in France, I was awarded an "EU scholarship” provided by EUIJ-Kyushu* for students who want to study in Europe. I took advantage of the scholarship as a means to support my life and study in France. While studying in France, the knowledge about the EU acquired through EU-DPs was really helpful to me, as the contents relating to the structure of the EU were also dealt with in some of my classes in France. Also, though writing a research paper for the completion of the programme was hard work for me, it became a motivation to research deeply about the EU and brought me a further inquiring mind. During the years of my EU-DPs enrollment, I came to understand much more about Europe and gain a deeper sense of European culture. I would like to continue to research further and expand my connection with Europe from now on by utilizing the completion of my EU-DPs programme. The EU Studies Diploma Programmes (EU-DPs) are excellent programs suitable both for students whose research is directly related to EU studies and for those whose focus is on other areas. I joined EUIJ-Kyushu* as a doctoral course student at Kyushu University and enjoyed the EU Studies Graduate Diploma programme during the whole period of my studies. Particularly, the EUIJ-Kyushu library, international and local conferences, lectures, seminars, and other academic events hosted by EUIJ-Kyushu served as a good platform for sharing knowledge and gaining insights on EU-related issues. In view of the fact that most courses and events are also conducted in English, international students can make use of the programme as well. Furthermore, I enjoyed the well-established research-funding options. 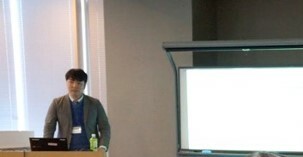 Particularly, thanks to a short-visit scholarship from EUIJ-Kyushu, I got an excellent chance to present and discuss the results of my research within an international conference held in London, UK. Through attending conferences and events held by EUIJ-Kyushu, I became a member of social networks that comprise a variety of people united by their interest in the EU not only from Japan, but also all over the world. Ergo, these interdisciplinary programmes fit best for Japanese and international students who are interested in building up a wide variety of networks both in Kyushu University and at the international level. Finally, after completion of my studies and returning to my home country Uzbekistan, I got a permanent position at the University of World Economy and Diplomacy under the Ministry of Foreign Affairs of the Republic of Uzbekistan. 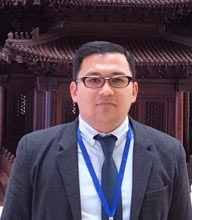 Owing to the knowledge and experience I got through the EU-DPs, I got involved in teaching and research activities about the EU and Central Asia in other higher education and research institutes. Particularly, I became a part of the research and teaching projects within the ERASMUS+ programme supported by the EU. Thus, I highly recommend the EU Studies Diploma Programmes to international and Japanese students at Kyushu University, as taking part in the programmes will give you great opportunities for personal development and academic advancement, enhancing your own experience and career prospects. * EUIJ-Kyushu: The European Union Institute in Japan, Kyushu (EUIJ-Kyushu), one of academic institutions worldwide which was affiliated with the EU, was administered by a consortium of Seinan Gakuin University, Fukuoka Women’s University, and Kyushu University (two members in the extended 2015 academic year as Fukuoka Women’s University and Kyushu University) and completed its operations on 31 March 2016. I completed the EU-DPs for graduate students, and now I am studying the EU economy as a doctoral course student. This program brought beneficial experiences to my studies because the EU-DPs can provide us with opportunities to learn about the EU systematically. Through the program, we can receive not only lectures on economics in Europe but also those on history and law, so we can learn and understand the EU from various angles. These angles were a great help to me when I wrote a master's thesis and research paper for EU-DPs. Also, the Kyushu University EU Centre holds events such as Christmas in the EU, where we can deepen our understanding of European culture. In addition, during my registration for EU-DPs, I took part in the "Asia-Pacific EU Centres Graduate Students Conference" (that was sponsored by Kyushu University EU Centre) and made a report in English. This conference was a great opportunity for me because I could test what level my research had reached and find its remaining issues. Also, graduate students in pan-Pacific countries took part in this conference, and I met many researchers of the same generation, so I was inspired to make greater effort to study. If you have any interest in the EU, I strongly recommend registering for EU-DPs. The experience of the EU-DPs will assist you in deepening your study and personal development. * The EU-DPs from 2011 to 2015 acadmic year was provided by EUIJ-Kyushu. PROCEDURES　Let's start from the programme entry and course registration!! Students who wish to gain an EU studies diploma are required the following procedures. There is a submission deadline for each procedure in Spring Semester and Fall Semester. Please submit the entry sheet when you register first for this programme, or when you want to change information in the entry sheet. ※Doctoral students applying for the EU-DP Graduate Diploma Course must submit a "Letter of Acceptance for the EU Studies Diploma Programmes (EU-DPs) Enrollment (WORD)." ※Courses completed in the past and on the present EU-DPs Course list shall be used for the EU-DPs credits. However, the programme requirement cannot be fulfilled only with the previously completed courses. ※This registration procedure is only for EU-DPs courses. In order for credit earning, please be sure to register separately at your home school/department, too. 3. RESEARCH PAPER (RP) ※For undergraduate students in 3rd year and above, and all post graduate students. Basically please submit it in the semester which you plan to submit your RP. However, the proposal approved is valid by the next semester. ※To complete a RP proposal, you must have an approval and signature on the form by your academic adviser. ※Proposal must be submitted in PDF file or Word file. Basically please submit your RP in the semester which you submitted the RP proposal. Please submit the form in the semester which you will complete the requirement. >>> Click HERE for more details on application for completion. ※1 If you wish to change the title after approval of the RP proposal, you are required to submit a title change form. The EU-DPs include a wide range of courses. Among them are courses that are specifically about the EU, while others deal with themes which are not related directly to the EU but are important to understand the EU. The following categorization is put on the course lists for your reference in choosing courses from this wide variety. a: Courses that are specifically or partially about the EU. b: Courses that deal with history, politics, ideology, culture, etc. related to the EU or Europe. c: Courses that do not deal with the EU itself, but are useful for a better understanding of the EU because they deal with natural and/or social issues which the modern world faces. *Courses categorized as "a” or "b” are recommended for those who want to learn about the EU more deeply. [11 April] Academic year 2019 (April 2019 - March 2020) EU-DPs Course List updated. Undergraduate Course List is here. Graduate Course List is here. Note: Undecided-courses included. When added, the list will be updated. EU-DP undergraduate diploma courses are categorized as "Introductory Courses" and "4 Modular Courses"
What is EU-DPs Research Paper (RP)? A RP must be submitted to complete the requirements for the Undergraduates/Graduate Diploma in EU Studies. This paper must focus on an EU-related matter and be discussed within the context of one or more academic disciplines. In lieu of a separate RP, students may submit an undergraduate's/master's thesis or an edited version of your thesis. The paper may not be applied towards students' credits for graduation. It will be approved for the Diploma in EU studies only. Students can ask a teacher who serves as an advisor for their undergraduate's/master's thesis to be an advisor for an EU-DPs RP. In some cases, you can ask a teacher who is in charge of the EU-DPs course you are taking. When you ask a teacher to be an advisor, please consult carefully with the teacher regarding the detailed information on our website, and write your paper in a well-planned manner in accordance with our guidelines. Hard copies of all submitted RPs can be accessed from Kyushu University EU Centre. If you are interested, please visit the EU centre. Paper length should be at least half the length or more of the minimum requirement of your undergraduate's/master's thesis. Follow the format requirements indicated by your department for your undergraduate's/master's thesis. *Use a cover sheet designated by Kyushu University EU Centre. *It applies only if you change the RP title after the research paper proposal has been accepted. * (1) One hard copy of RP, (3) A cover sheet, (4) An academic advisor assessment should be submitted by post or in person to the EU Centre office. (1) You will receive information about the submission of a RP proposal via email around June and November. (2) Submit a RP proposal by the closing date. (3) Kyushu University EU Centre reviews the applied themes of RP based on applicant's RP proposal. (4) After approval of your RP proposal by Kyushu University EU Centre, submit the RP by the deadline. (5) A RP will be approved as an EU-DPs RP after screening by Kyushu University EU Centre. > RP Assessment Form (WORD) The format changed from 2017 Spring semester. *1 If you wish to change the title after approval of the RP proposal, you are required to submit a title change form. The Paper of Excellence awardees will be given a special prize. 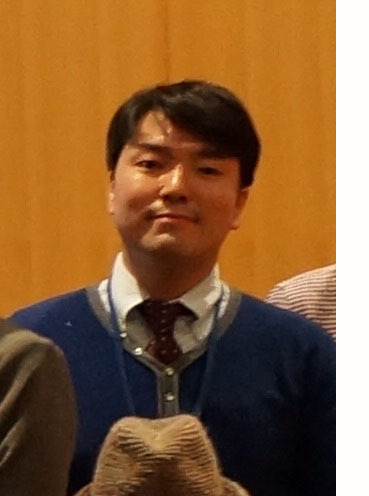 From among the papers recommended for the EU Research Section, the most outstanding paper will be given the "EU Research Award" by Kyushu University EU Centre. The full papers which were awarded "Paper of Excellence" are available for inspection from the title list. Please refer to it if you are planning to write a RP. The full paper of the awarded research papers can be downloaded from the List of RP Titles (EXCEL). * The EU-DPs Programme from 2011 to 2015 acadmic year was provided by EUIJ-Kyushu. "Amortization and impairment of goodwill -The cases of Japan, EU and the United States-"
"When Market Power Meets Big Data: An Analysis Based on U.S. and E.U. Competition Laws and Policies"
"Investor-state Dispute Settlement (ISDS) Mechanism: European Union's Proposed New Multilateral Investment Court System - An Analysis of the Issues, Obstacles and Proposals on the On-going Reforms from an ASEAN Perspective"
"A Critical Analysis of the European Commission's Proposed Framework for Foreign Direct Investments Screening as a Shield against State-owned Enterprises"
"Balancing Corporate and Labor Interests: A Comparative Study on Temporary Employment Arrangements in the Broadcasting Industry"
"Capital Markets Union (CMU) and capital markets integration in the EU"
"Considerations on Role and Function of Independent Outside Directors under Japanese Corporate Law with Reference to Board Composition in Germany and the EU Corporate Social Responsibility Directive"
A Case for the "Sanctity and Autonomy of Investments" as Legal Tools to Build the Freer Movement of Capital Across Borders"
"Weaker Party Protection in Private International Law: Thailand, Japan, and EU"
"Linguistic and Cultural Diversity and the Trade Mark Register"
"Improvement of Laws on Public Debt Management in Vietnam: Suggestions of International Organizations and Lessons from Some European Countries, China and Argentina"
"The Recognition and Enforcement of Foreign Judgments in Today's World and the Approach of the ASEAN Economic Community"
"Issues in Cross-border Insolvency Law and Implementation for Thailand"
"Social Acceptance of Geothermal Energy: Results from Case Studies in European Union"
"On »Message Biblique « of M.Chagall as a jewish painter--Between the Racialism and the Universalism in Europe--"
"Angel and Cross of Paul Klee: On the Creating Principle and Religious Conception of the "New Angel" in the 20th century Western Europe"
"Databases in the Cloud: A Sui Generis Contractual Model for Cloud Brokerage Scenarios"
"Albania's Challenge to EU Accession - from "the Poorest Country in Europe" to Prosperity in the 21st Century"
"Can the Utilisation of a Pluralistic Definition of Death Increase Rates of Organ Donation/Transplantation in the United Kingdom and the Broader European Union?" "French Colonization and the Posture of Artists: Matisse's Odalisque"
Kyushu University EU Centre holds an application assessment meeting twice a year, one in the first semester (spring), and the other in the second semester (fall). Once your application for completion is approved by the committee, you will be awarded the EU-DPs Graduate/Undergraduate Diploma in EU Studies. Titles of the courses you have taken and certification of gained credits will be attached to the diploma. If you wish to receive a diploma, please submit "Application for Completion of EU Studies Diploma Programmes (EU-DPs)" by the designated date. How can I register for the EU-DPs? Can doctoral students apply for EU-DPs? Do I have to register for the EU-DP courses to my faculty/department if I once register the courses to Kyushu University EU Centre? I have some course works which I took and completed in the past. Can I register those courses and use it to complete the EU-DPs? Several courses are provided in the same course name with different teachers. Can I register those any courses? Does it cost money to gain the Diploma? I registered and took EU-DPs courses last year, but no EU-DPs courses for me this year. In this case, isn't this term counted as the EU-DPs enrolled term? After I complete EU-DPs courses, do I have to report it or submit a form to Kyushu University EU Centre? When I fulfill the requirement of the EU-DPs, will I be able to receive a diploma automatically? Is there any penalty for the incompletion of this course? What is the benefit of receiving the diploma? Registration for the EU-DPs is accepted during the registration period at Kyushu University EU Centre. The registration period of each academic year will be announced on the website. Course list and syllabi will also be available from the website. Please refer to EU-DPs Registration for more details. Yes. Doctoral students can apply for the EU-DP Graduate Diploma Course by submitting a "Letter of Acceptance for the EU Studies Diploma Programmes (EU-DPs) Enrollment" with the signatures of advisors of both your doctoral thesis and your EU-DPs research paper. Doctoral students who fulfill all the requirements can acquire an EU-DP Graduate Diploma. Registration to your home faculty/department is necessary. Because the system of registration to Kyushu University EU Centre and registration to your home faculty is different, you need to register the courses separately in order for credit earning. If you fail to register the courses at your home faculty, you may not be able to gain credits. Please be sure to register for the courses at your home faculty/department. Courses completed in the past and on the present EU-DPs Course list shall be used for the EU-DPs credits. Please submit "EU-DPs Course Registration form FOR COURSES COMPLETED IN PREVIOUS YEARS". However, the programme requirement cannot be fulfilled only with the previously completed coursework. No, you can register only for the course with specified teacher as listed on the EU-DPs Course List. No, EU-DPs is a free programme. 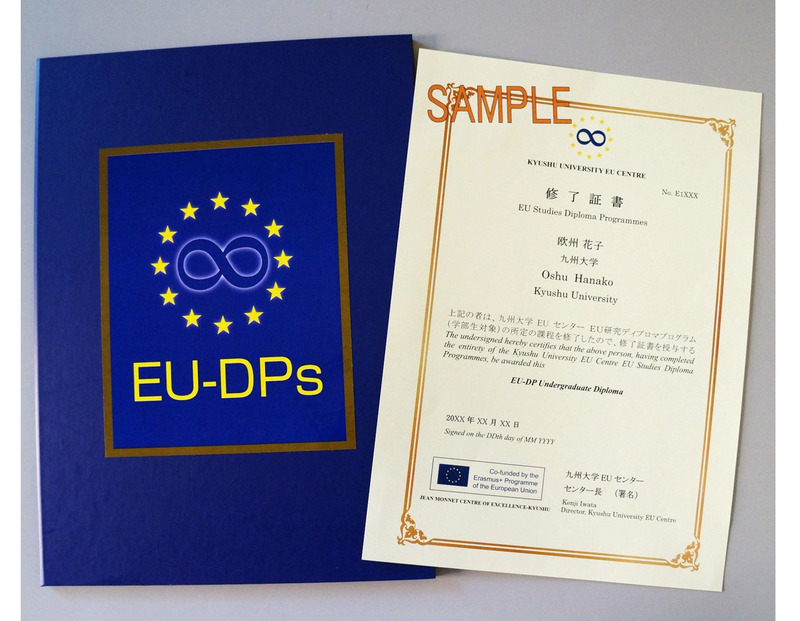 Once you register for EU-DPs, your enrollment in EU-DPs will be regarded as being continued as long as you are enrolled at Kyushu University, and it is counted as EU-DPs enrolled term. All of your completed EU-DPs courses should be listed on the "Application for Completion of EU-DPs", which is to be submitted after you have fulfilled the requirements. Kyushu University EU Centre will check the credit status of your EU-DPs course work with your academic transcript once we receive the Application for Completion of EU-DPs. Kyushu University EU Centre will prepare academic transcripts of EU-DPs students. No. You have to submit the "Application for Completion of EU-DPs" during a certain period if you wish to receive a diploma. Kyushu University EU Centre holds an assessment meeting for completion of EU-DPs once in each semester (first/spring and second/fall). Please refer to "Application for completion” for more details. No, regardless of your completion requirements, you can register for courses even if it is a subject. EU-DPs do not provide you with a certificate which enables you to do something particular immediately. However, it is expected that you will gain fundamental knowledge necessary for you to work actively in an international stage in the future by studying European economics, law and politics, history, culture, society, science technology, environment and public health in an EU research curriculum. Please refer to "Voices from Students".